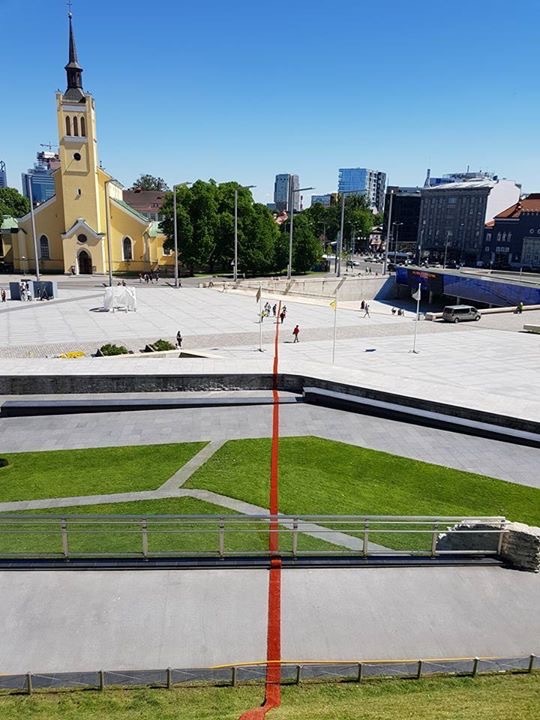 In early 2017 I got a message from Kilometre of Sculpture organizer Michael Haagensen asking me if I would like to re-create my Straight Line public space drawing for Tallinn Art Week in July 2017. Drawing a line through the heart of my hometown was truly an immense privilege! 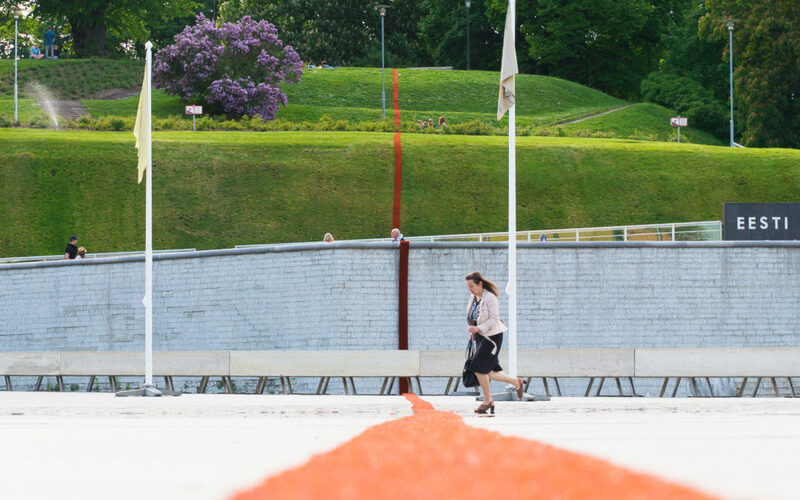 Budget and technical constraints willed that the Straight Line was going to be red this time, which was a great little throwback to my university time work with Le Fil Rouge. In the end it was glorious and huge: about 200 meters long and undulating up and down across the Freedom Square and park. Being able to create such a monumental drawing in the public space was a very powerful experience. Watching people react to the work or completely ignore it… City council had even received a complaint about a “suspicious communist red line dividing the city.” Glorious!! Made me realize that drawing does have the capacity to be monumental and made into public art. Made me want to do more. Working with Michael Haagensen and his team of dedicated volunteers was also pure pleasure. Made me realize what working with great curators and art chamions should feel like. And the bonus to top it all off was the opportunity to guest host Visit Estonia instagram stories and share the exhibition with even more people.